We’ll be publishing a series of blogs over the next few weeks with advice and tips on preparing for GDPR. The adoption in the UK of the EU’s General Data Protection Regulation (GDPR) is something all businesses need to be aware of, and the deadline for compliance – 25th May 2018 – is not far off. In a nutshell, GDPR brings new rights for people to access the information that companies hold about them, obligations for better data management by businesses and new fines for non-compliance. There’s lots of advice out there on how to prepare for GDPR, but perhaps the best guide comes from the government body that will enforce GDPR in the UK, the Information Commissioner’s Office (ICO). The guide includes step-by-step checklists, designed to be completed online, that will help any organisations that hold and process data to understand their responsibilities. Conscientious businesses protect their own data and that of their customers and contacts. Under GDPR there will be an increased requirement on your business to ensure data is not held indefinitely and that you take full responsibility for what could happen to people’s personal information when you no longer need it – for example, if you are upgrading to new phones or a new computer system. At Mail Boxes Etc. 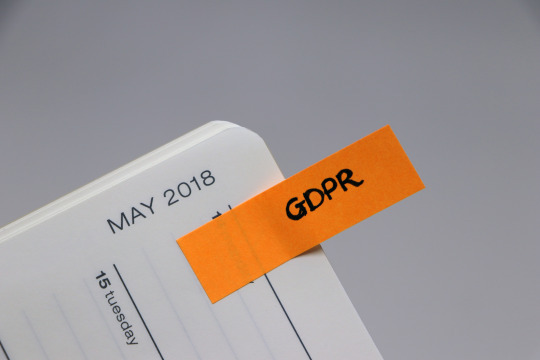 we’re here to help our customers comply with GDPR, both in the run-up to 25th May and beyond, with our secure shredding and data destruction services. Fully ISO 9001, EN15713 and 14001 accredited, all our data destruction comes with a complete audit trail and a certificate of destruction. We are also a registered with the Environment Agency as an ‘upper tier’ waste carrier, which gives our customers an extra guarantee of our credibility as a waste contractor. 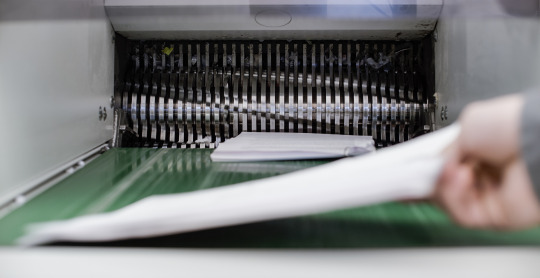 We make the whole process easy – we supply bags for your shredding (you can collect or we’ll deliver), and when they’re full you can call us and we’ll arrange for our trusted data destruction partner to take them away. As well as shredding, we can also securely destroy hard drives, laptops, tablets and mobiles. Our data destruction service takes the stress out of compliance, so there’s no need to worry about whether you’re disposing of customer data correctly. GDPR brings increased liability and fines for data breaches, so don’t take risks with your customers’ data. If you have customer information in either printed or digital format that you no longer have a rationale for keeping, come to us for expert advice and secure, certified data destruction services. Find your nearest Mail Boxes Etc. store here.